The new Aspire Atlantis BVC Coils are for the Aspire Atlantis only. These new coils use the same excellent "Bottom Vertical Coil" technology found in the Nautilus coils. But the Aspire Atlantis BVC Coils are even better - the airflow has been enlarged for a more airy draw, the wire is made in the USA for the absolute best quality, and these coils are sub ohm coils specially designed to work perfectly with the Aspire Atlantis. 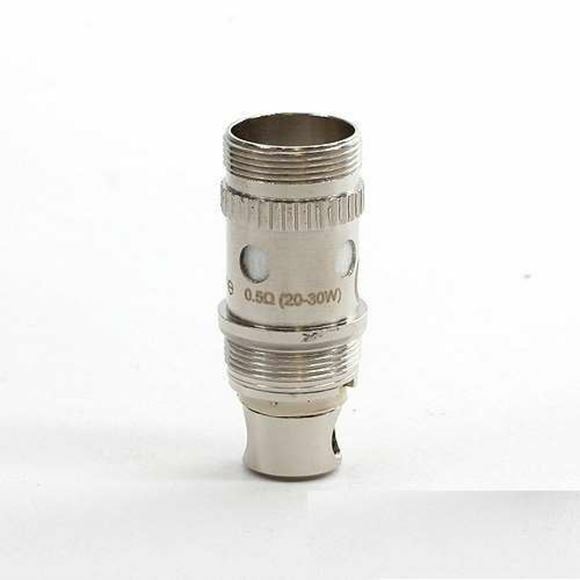 The Aspire Atlantis BVC Coils are designed to provide a dripper experience without the hasle of making your own coils. The Aspire Atlantis Cotton Coils provide amazing clouds of vapor and the richest flavor possible. These coils are truly amazing - if you have a battery able to output 20W or more, you ought to yourself to give these a try. Note :- Price is for 1 coil only (Not for pack of 5). If you need more then please order accordingly.